And the showers and flowers are bringing more butterflies and birdies too. 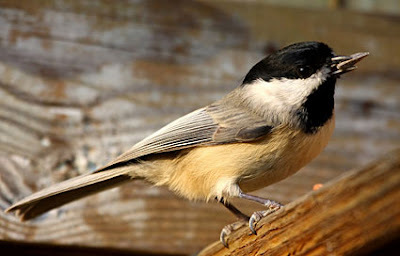 I spotted this Black-capped Chickadee a couple of days ago sitting in the tree just outside my door. Photo courtesy of AllAboutBirds.org. Sweet little fella with a pretty whistle. I feel as if I'm driving through a Monet painting every day. Bluebonnets, paintbrushes, buttercups, warblers, goldfinches, chickadees, cardinals.